This rabbet will hold the back panel. Wondering what brand and model of plane you are using. I have a question about the middle divider in this section. Is it mortised into the horizontal rails, or just attached with a tongue/groove? If it’s mortised (and this is actually my question) did you chop the mortise first, or chop it after plowing the groove? I need to make a raised panel lid for my saw chest (finally) and this part threw me for a loop the first time. LOL! I’m sure you’re right about rabbet comments. Tee Hee! So, I did my mortise first. But I did it with a router and it did tend to allow my plow plane to get off track. 1. less depth of chopping since you’ve plowed some of the material out. 2. chopping in the grooves helps lines it all up. What did you end up doing and how did it work? 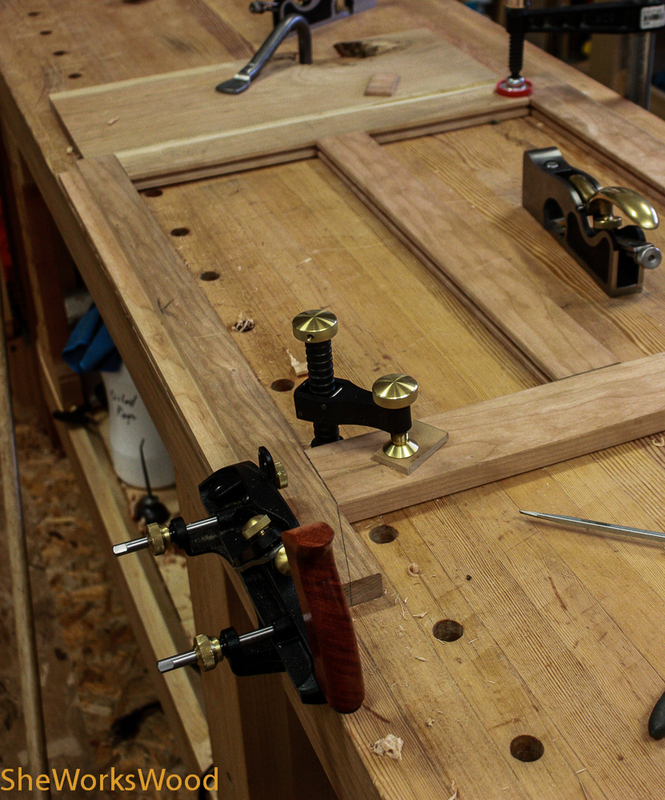 My first attempt was to plow first, then chop the mortise. My thinking was that I could use the groove to line up the chisel. The problem was my groove and chisel weren’t exactly the same width. And my groove was’t perfectly straight, it wallowed around a little.